This is such a sweet sentiment, and so very true. It really is amazing what a simple smile can do. 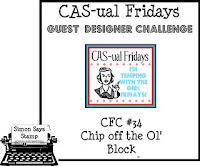 Today the main inspiration for my card comes from this weeks challenge at CAS-ual Friday Challenge #34 which was to create a CAS card using chipboard. 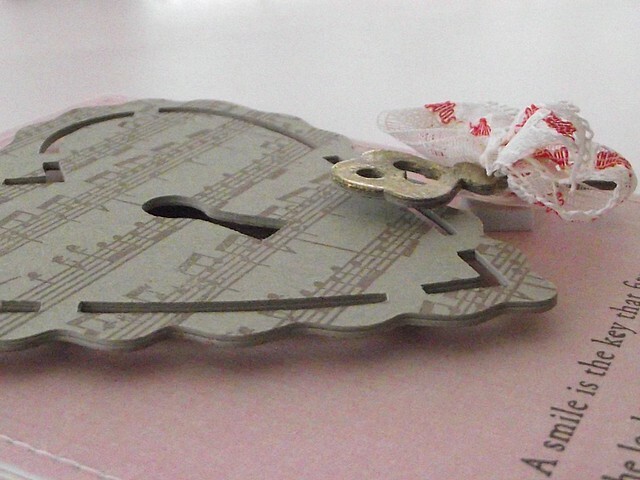 I have two pieces of chipboard on my card, the scalloped heart, and the golden key. 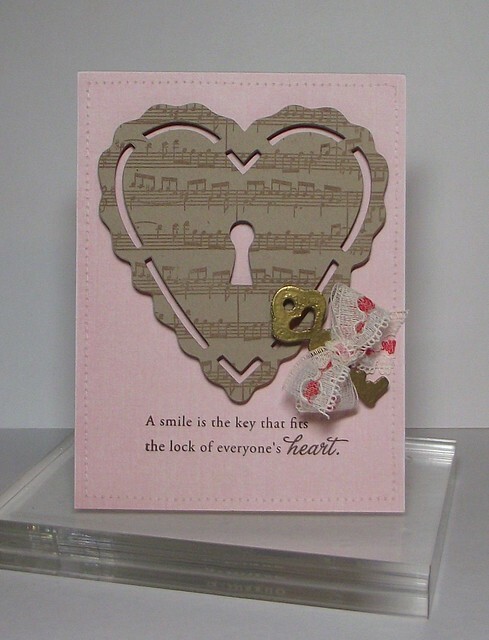 I used two PTI sets to create my card, Background Basics Sheet Music, and Heart Prints Sentiments. I stamped the sheet music stamp using French Roast pigment ink by A Muse Studio, subtle, but pretty. I finished off my card with a machine stitched frame. I hope your day is going well, and thank you for visiting my blog today! Gorgeous card! Love the chipboard lock and key :) Thanks for playing this week at CAS-ual Fridays! Oh, this is stunning! LOVE that ribbon you've used--so soft and feminine! Gorgeous!!! Very pretty! Wonderful combination of elements and sentiment. Beautifully done! Love the elements in this card! Just gorgeous! So glad that you played with us at CAS-ual Fridays! Loving that gold embossed key. The ribbon is a perfect finishing touch. Thank you so much for playing along at CAS-ual Fridays.